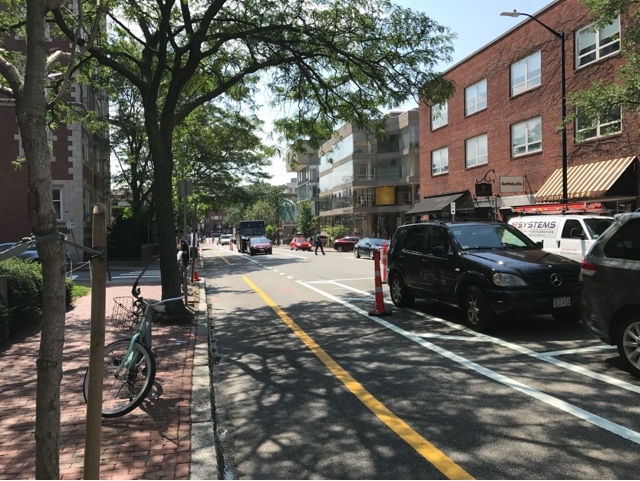 Is this a new permanent traffic jam on Brattle Street in Harvard Square? No the city has moved the curbside parking into the middle of the street in order to make room for a new bike lane. What could go wrong by putting a two-way bike lane on a congested one-way street? Let's count the ways. Pedestrians aren't used to looking both ways to cross the street. Delivery trucks and double parkers are frequently blocking the bike lane. 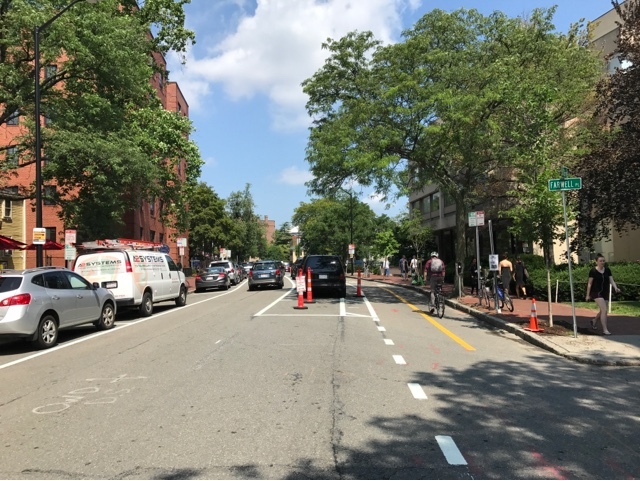 Car drivers are already mistaking the bike lane for a second car lane, and some inevitably will be fooled into turning down the street the wrong way. But I predict the real killers will be passengers of parking cars dooring oncoming bicyclists as they pop out of the parked car. It's hard enough to teach drivers not to door you, forget about passengers, they aren't going to look.